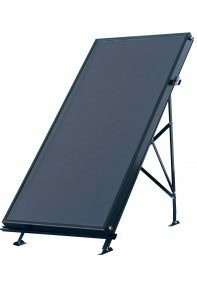 Our solar panels consist of evacuated tube collectors (Flat plate panels can also be installed) attached to a Southerly facing roof. Water and a special antifreeze mixture is the pumped through the panel where it gets heated by the sun. 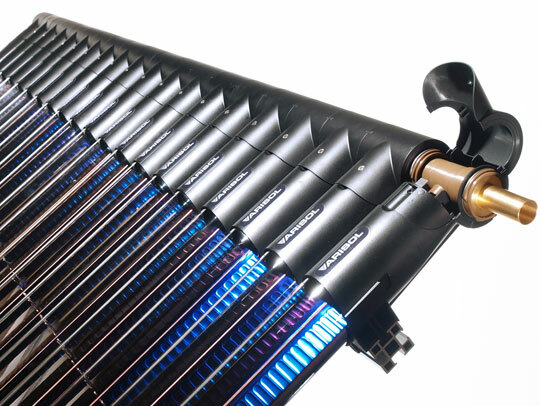 The heat is then transferred by a high efficiency coil in a specialist solar cylinder heating the water. 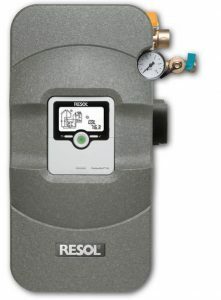 (The boiler can be used to top up the water temperature if required). 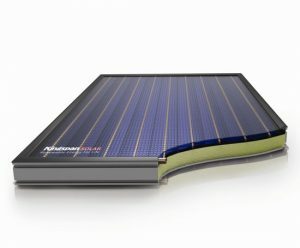 The panels fall into two main categories: flat panels and evacuated tube panels. Both have got their advantages and are used in different scenarios and different projects. We have installed both types and will give you recommendations for your specific project. Flat panels consist of a layer of glass, an air gap, the selective metal surface that is heated by the solar radiation, a meandering pipe to remove the conducted heat energy, a thermal insulation panel and a back cover to seal the panel. Flat panels work best when the difference in ambient temperature and the required hot water temperature is small, i.e. in swimming pool systems or hot water systems closer to the equator. However, they can still perform quite well in Northern Europe throughout most of the year. Cross section of flat solar thermal panel. 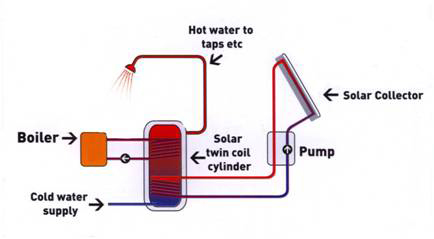 Evacuated tubes allow the solar energy to travel through the glass wall (single or twin) and when it hits the selective surface it turns into solar heat. This is then transferred by a metal heat sink. 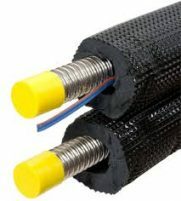 Evacuated tubes panels tend to perform very well in cooler climates, i.e. when the difference in the ambient temperature and the required hot water temperature is significant. Evacuated tubes come in many different varieties but there are two further main categories. 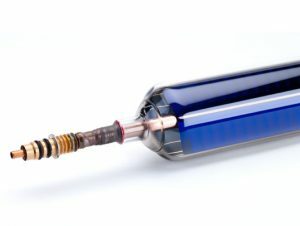 These tubes rely on a heat pipe to transfer the heat from the collection surface inside the tube to the antifreeze that is pumped around the system. 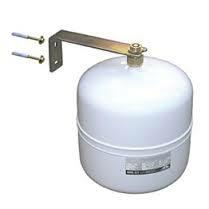 Evacuated tubes tend to be the most reliable and can be used in both drain-back and pressurised systems. Thermomax HP 400 heat pipe evacuated tube. 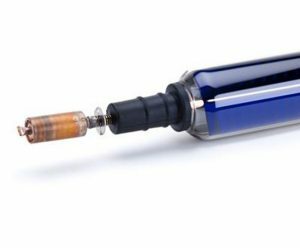 Direct flow tubes rely on a flow rate of antifreeze to travel down and up the tube gathering heat. This type of tube is exceedingly powerful, but in order to maintain reliability care must be taken to avoid overheating. This type cannot be used in drain-back systems. Stainless Steel Twin insulated pipework. This corrosion resistant flexible pipework is used to transfer the energy generated in the panel to the hot water cylinder. 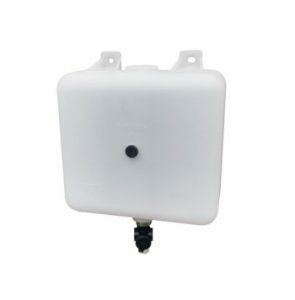 The solar pump circulates the antifreeze mixture or water mixture around the system used to transfer the energy generated in the panel to the hot water cylinder. 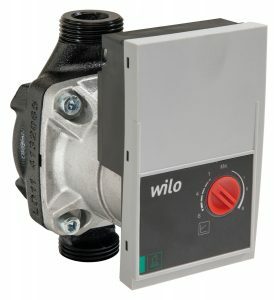 The pump speed is electronically controlled to transfer at the maximum rate off efficiency. A PWM (pulse width modulation) pump and controller are used. To measure the temperature in the panel and compare with the temperature in the cylinder. To start and stop and control the speed of the pump relative to the temperature difference. To switch off the pump when either the cylinder temperature is satisfied or when there is no more solar thermal energy available. 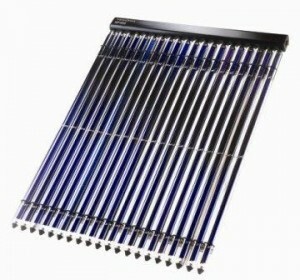 During heating the liquid in the solar panel, pipework, coil and pump will expand then when they cool contract. 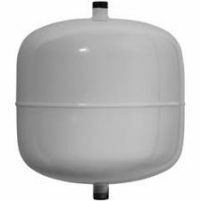 The expansion vessel buffers this maintaining an even pressure. Pre-cooling vessel (only fitted in certain circumstances). Where overheating is likely the pre-cooling vessel is placed in line with the expansion vessel to protect it. In the unlikely event of the system over-pressurising this will catch the antifreeze discharged by the pressure relief valve. 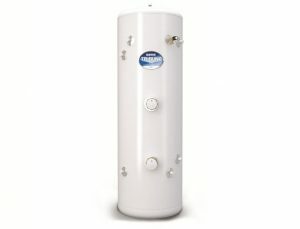 The cylinder has a solar coil at the base that will heat the entire cylinder. If the is insufficient solar gain to get the water hot enough the boiler / immersion heater can be used to top up the water temperature.